What is fireside all about? academics, socializing, friendships & fun all rolled into one! 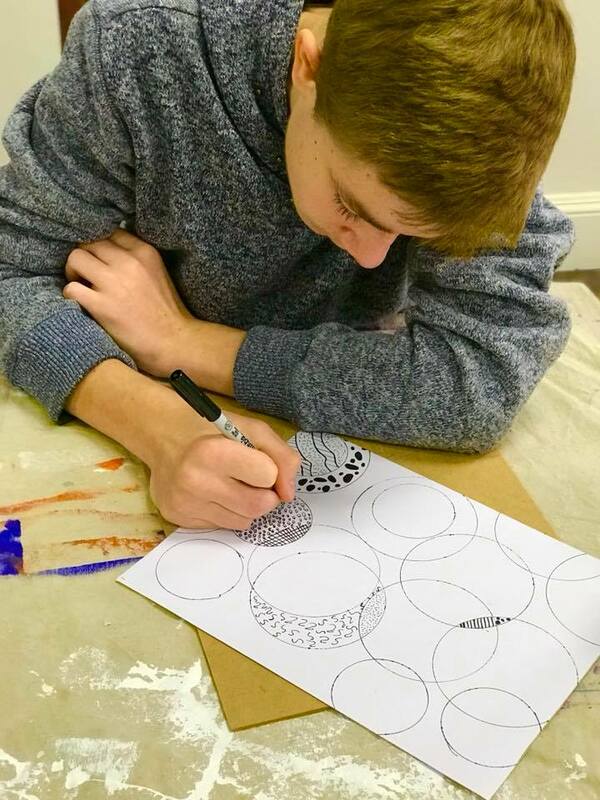 One of our high schoolers working on a detailed piece in Applied Art. Fireside Academy is a community of homeschoolers that meets every Tuesday from September through May to engage in academic and enrichment classes. We offer classes for Pre-K through 12th grade and provide an encouraging environment for all of our Fireside families. Whether you are looking for academics or enrichment supplements to your current homeschooling methods, Fireside has it! We serve opportunities for families of the Lehigh Valley of Pennsylvania, but also Bucks, Carbon, Monroe, and neighboring New Jersey. Pre-K Classes for siblings... and more! Academic goals are not the only benefit to being a part of our homeschooling community. Fireside Academy will help foster a sense of community and belonging for homeschooling families. 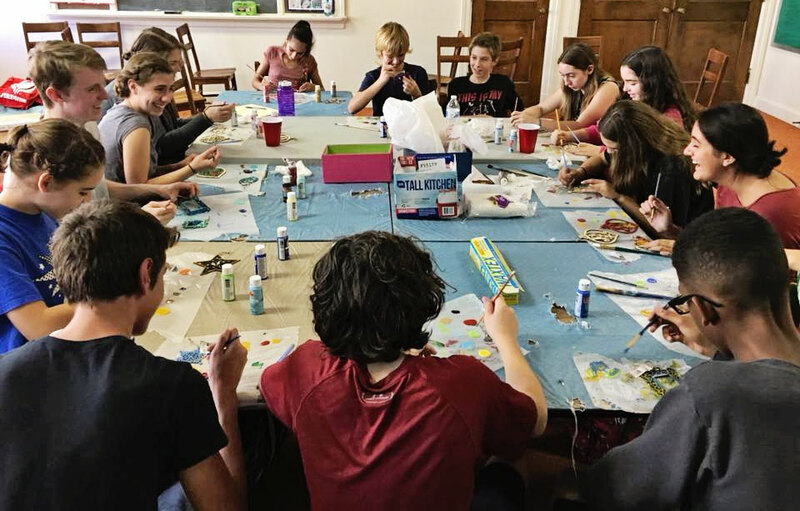 Our enrichment classes and extra-curricular activities provide opportunities for social interaction with others who understand a lifestyle focused on family and education. We feel that offering opportunities for homeschooled children to participate in activities such as theater or teen leadership, or to develop new interests by learning to cook, paint, or sew, are vital to a rich educational experience. Many of our families are from the Lehigh Valley, Pennsylvania: Bethlehem, Allentown, and Easton, but we also have members from neighboring counties such as Bucks, Monroe, Carbon, plus New Jersey! Our teens are very involved in a leadership class and volunteer activities. We also offer the opportunity for our students to create a yearbook and newsletter, documenting their experiences and providing information for our families. Family events, teen gatherings, and all-age field trips further a feeling of community for your family. Our facility has a variety of classrooms, two large social areas, two full kitchens, and a working stage for our theater classes.! We are close to Rt. 22 and easily accessible from 78 for homeschoolers from the outskirts of the Lehigh Valley, Poconos, and New Jersey.